Is there anything better than camping under the stars – beneath a night sky bursting with the twinkling of thousands of tiny lights? Those of us that get to see it often take it for granted. When you’re visiting the country with dark skies, away from cities and their light pollution, it’s a breath-taking sight and one that leaves a lasting impression. It’s incredible to think that within an hour or so of London lies an area classified as an International Dark Sky Reserve. London is one of the most light-polluted metropolises on earth but just a short drive away and you can be in or near the South Downs National Park. The park offers an authentic starlit experience. 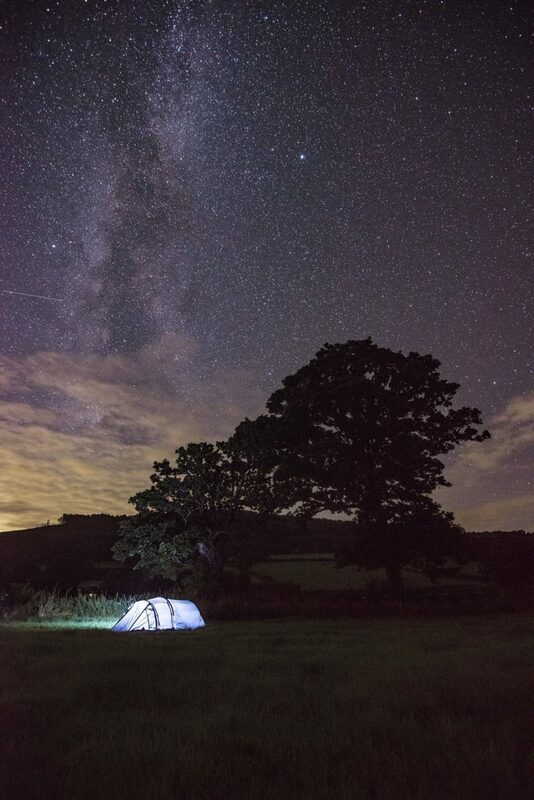 We’re lucky enough to have campsites near the South Downs, where you can camp under the stars. You can even download a free app that will allow you to map the stars above, why not try to find your favourite constellations? Or help the little ones spot Orion’s Belt. Beech Estate Campsite is located near Battle, on a private 2000 acre Estate in a 600 acre woodland. 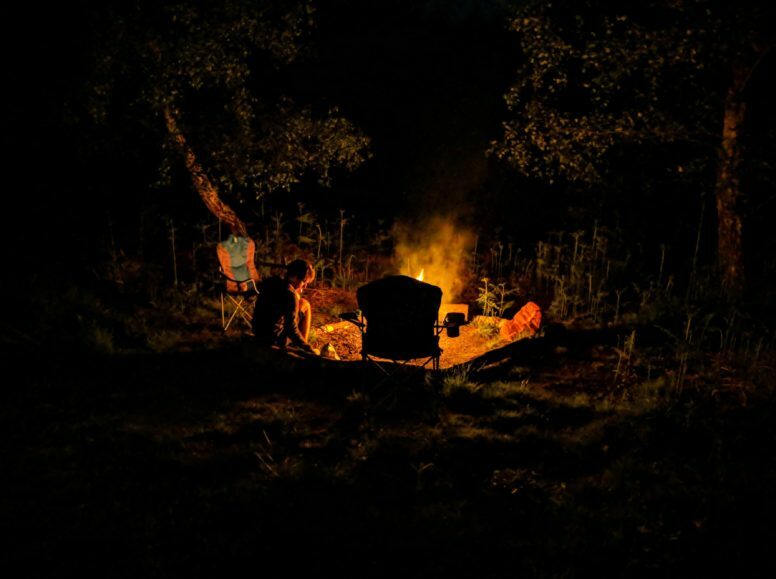 The light pollution is so minimal here that the only thing really stopping you from seeing the mass scattering of stars when camping is the light from your own campfire. But rest your feet, warm your toes by the fire and as the flames burn low you’ll be treated to one of life’s most fantastic views. With the milky way in plain sight on most nights, you won’t want to look away. Perfect camping with the stars as your backdrop. Wild Boar Wood is our glamping only site with nine bell tents in a semi ancient woodland. You can feel the history in the trees as the stars gaze down at you from millions of miles away. Why not come camping in spring before the canopy grows fully overhead. Just make sure to glance up every now and then to see the stars winking at you. Camping under the stars is a magical experience and should be tried by all. 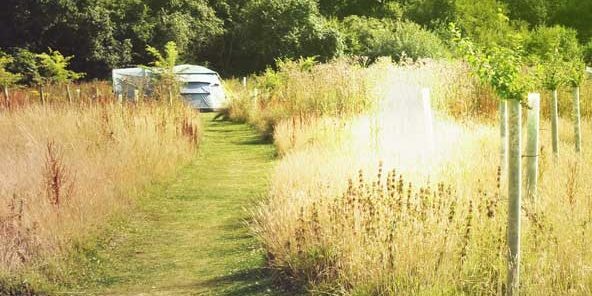 So if you live in the city and need a break away, choose one of our beautiful campsites in Sussex. We’re just an hour or so from London and even closer to Brighton, with a night sky that will leave you feeling refreshed and in awe of the world we live in. 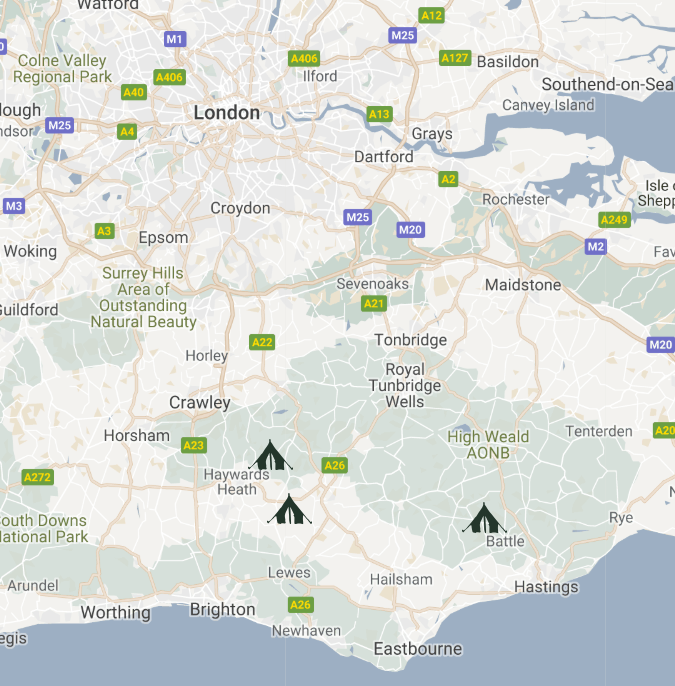 You can also check out our suggestions on how to spend a great weekend camping in Sussex. Complete with an itinerary and suggested activities. Of course it wouldn’t be complete with some star gazing as you camp under the stars!